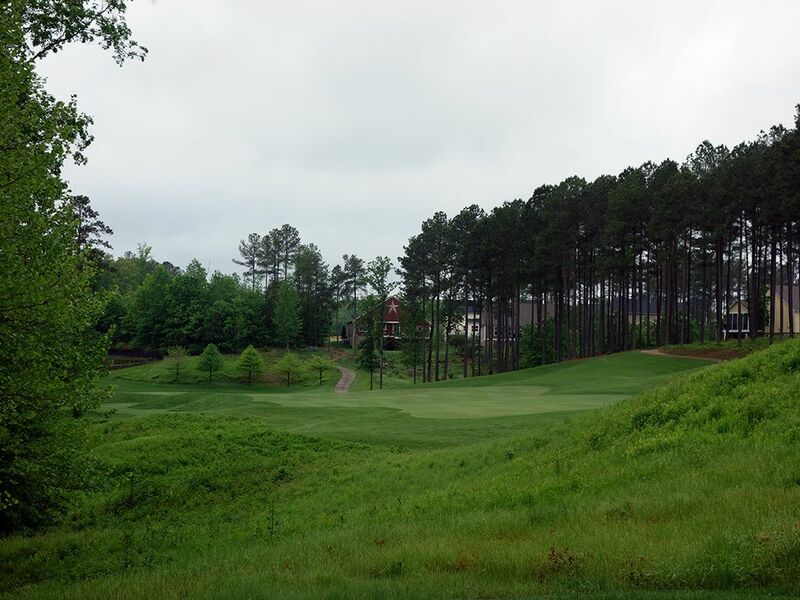 Course Website: Official Website - Visit Spring Creek Golf Club's official website by clicking on the link provided. 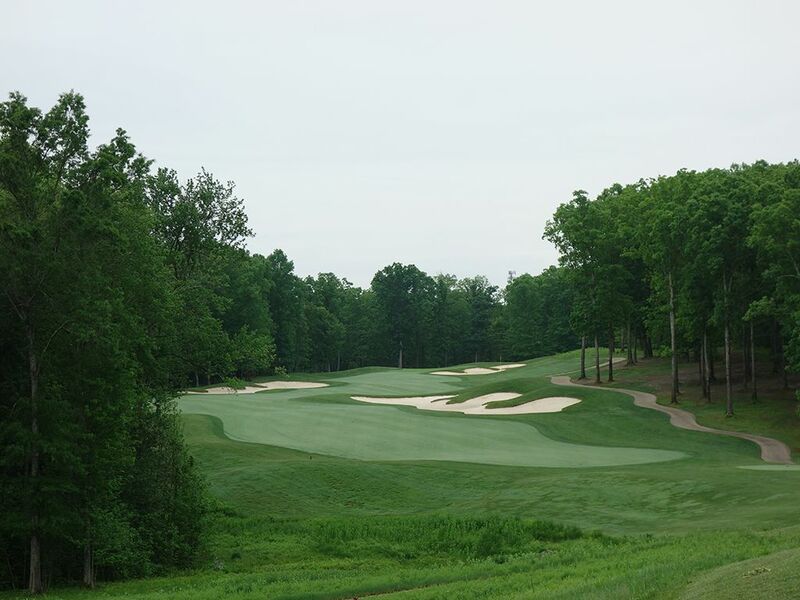 Accolades: Ranked 7th in Virginia on Golf Course Gurus' Best in State list. 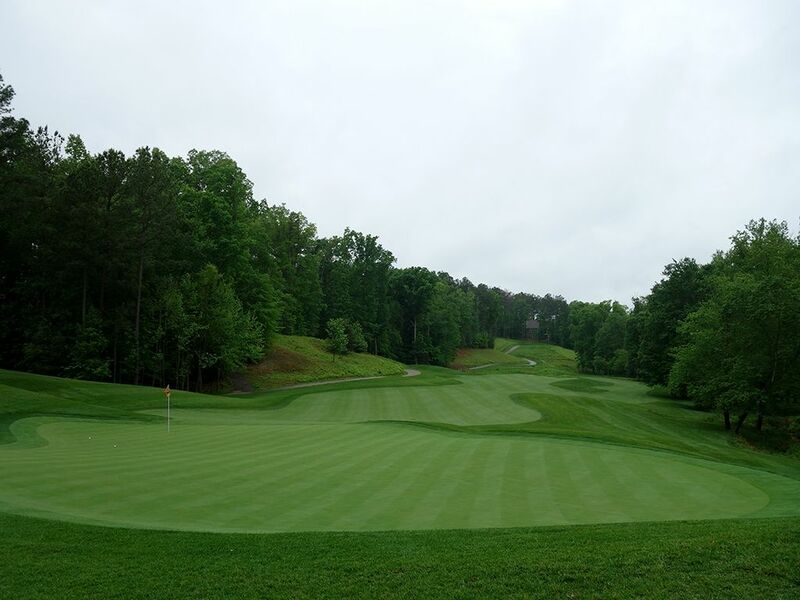 What to Expect: Designed by Ed Carton, a disciple under Tom Fazio for approximately 30 projects, Spring Creek is a well crafted designed with wide fairways, generous greens, and ample bunkers. 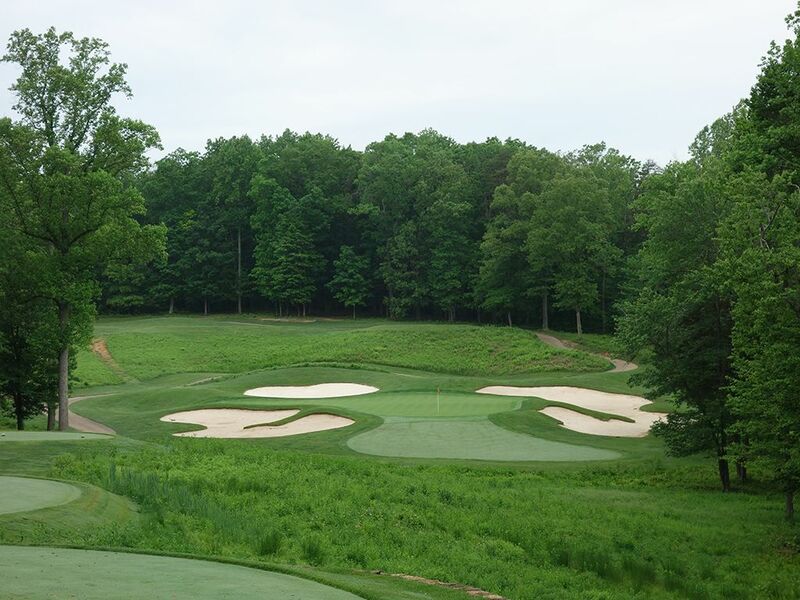 The conditioning of the bentgrass fairways and greens and overall vibe of the property oozes private membership, but the course manages to be one of the more affordable upper end courses on the east coast. The course is routed through a residential development but the homes don't come into play unless you are almost intentionally trying to put one off someone's back patio. 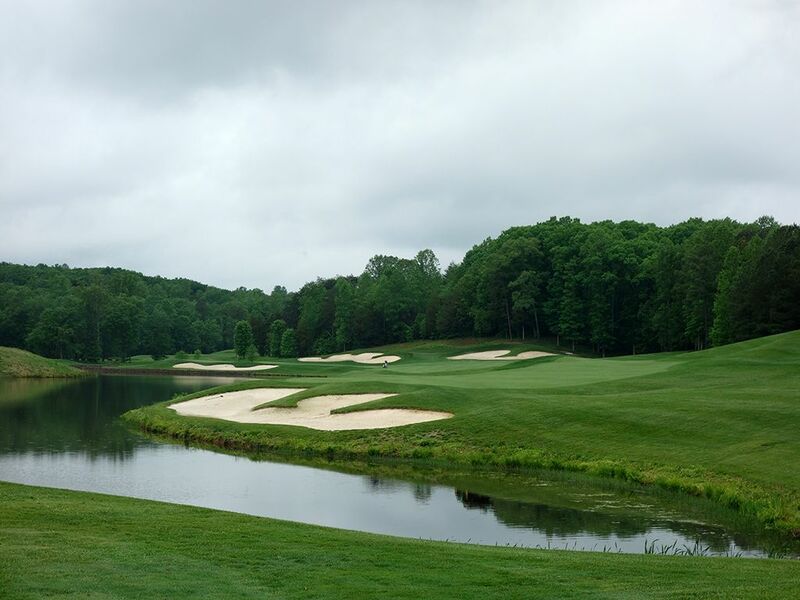 While the course is devoid of any bad holes, you won't be overwhelmed by any great holes until the all-Virginia finishing hole that will leave a lasting impression on you. 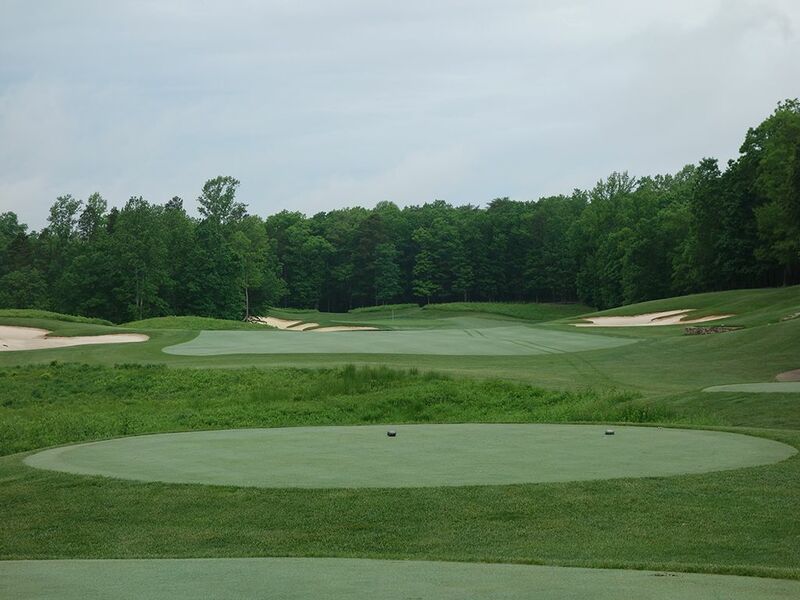 In addition, the setting is pleasant enough but the look of the course can get a bit monotonous at times with a heavy dose of green grass, green trees, and green foliage with the bunkering generally being the only contrast to the visuals. Fortunately Carton counters that with a variety of shots required and options delivered on how to play each hole which keep your attention throughout. The mildly rolling terrain isn't a tough walk, but the vast majority of players at Spring Creek will be utilizing a cart to get around the course and help cover a couple of the lengthier transitions from one green to the next tee. In the end, Spring Creek is one of the best values in the country for an upper end pseudo private experience. Signature Hole: 6th Hole – 415 Yard Par 4 – One of the more interesting tee shots of the day is presented at the 6th hole. A 40 yard bunker hugs the right side of the fairway in the driving zone while tee shots that steer too far left will find their ball tumbling down a steep hillside. The fairway then doglegs right between a pair of bunkers and ascends slightly uphill to a green protected by another bunker on the right side. Pin placements in the back right can be especially difficult to get close to. 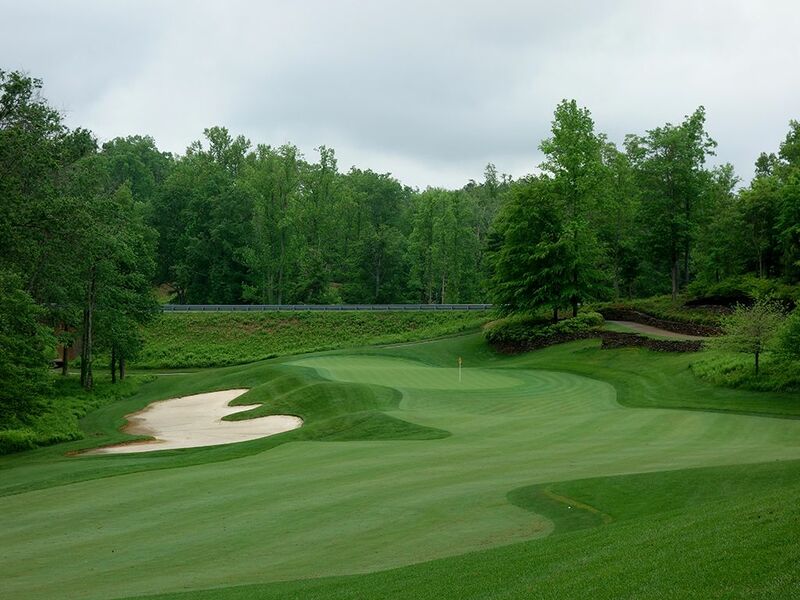 Best Par 3: 5th Hole – 197 Yards – The downhill 5th has an inviting look from the tee with bunkers artfully flowing outside the putting surface and the front of the green open to a running shot. A forced carry over high waste grass is required to find the green safely. The birdie pin placement is in the front third where a small tier can help bring spinning shots back towards the hole while the sucker pin is in the back left. Best Par 4: 14th Hole – 445 Yards – An elevated tee and double fairway greets you at the 14th hole where a slithering section of rough creates the separation between the two fairways. 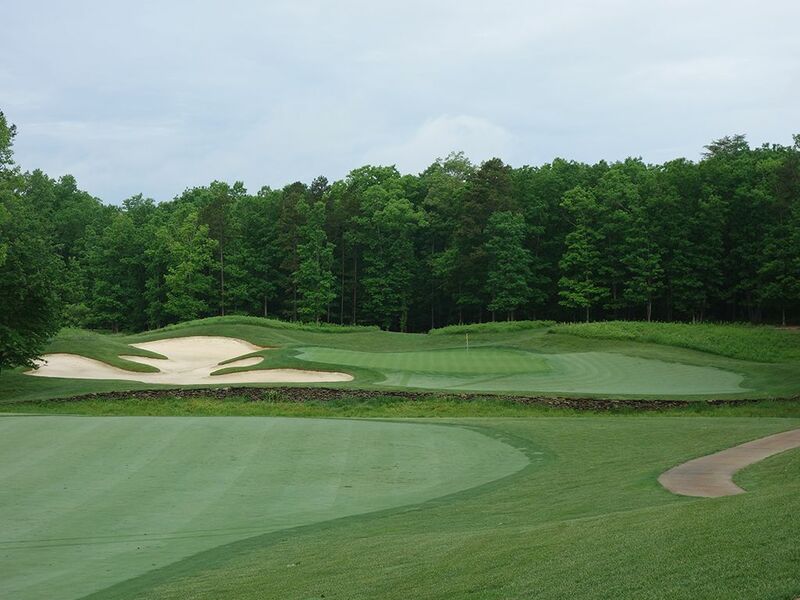 This bunkerless hole sits tastefully in a hillside that slopes right-to-left where misses on the high side of the green have a chance to kick onto the putting surface while misses to the left will be faced with a challenging up and down. The superior angle of approach comes from the low fairway where you can play directly back into the hillside, but that fairway is tighter than on the right. 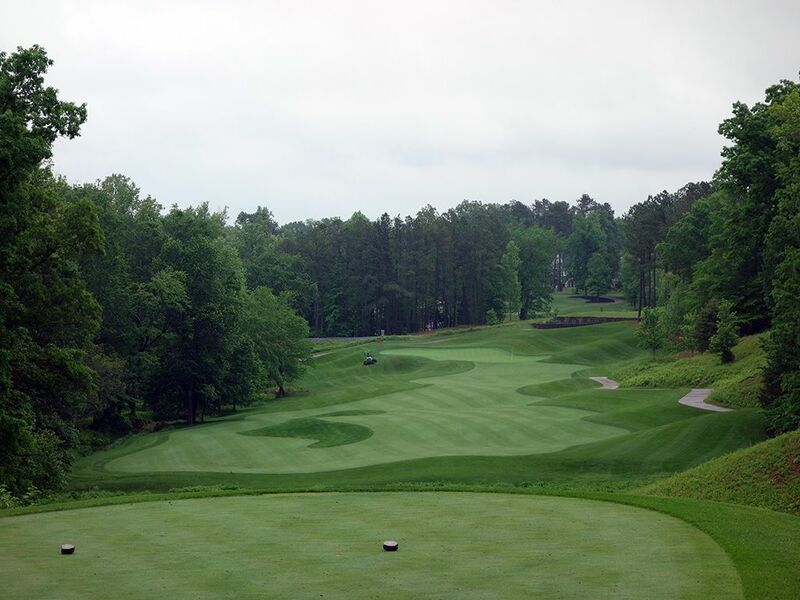 Best Par 5: 18th Hole – 561 Yards – The final hole at Spring Creek is clearly its best and most memorable. This picturesque par five is framed by water on the left which pinches the fairway at its tightest spot 225 yards from the green. The fairway takes a late turn to the left and creates a peninsula-like green wrapped around on the sides and back by sand as the final buffer before reaching the water. The risk/reward here is high if you are going for the green in two and could be a great place to press a match. Birdie Time: 16th Hole – 389 Yard Par 4 – Another hole with a split fairway, the 16th is the shortest par four on the course and provides a solid opportunity to score a birdie. A drawing tee shot around the corner of the dogleg can find the lower fairway and set up a short chip into the green. Tee shots that go to the wider fairway on the right will enjoy an angle that provides the greatest depths of the green to work with and still a great chance at a green in regulation. Go high or go low, either option should yield a chance at a nice birdie putt. Bogey Beware: 3rd Hole – 430 Yard Par 4 – On the card at 430 yards, but with an additional tee box that can stretch to 471 yards, length and accuracy is needed from start to finish on this tough test. A straight drive is needed off the tee as a pair of bunkers await on either side of the landing area before setting up a stout approach shot over a creek that fronts the green. 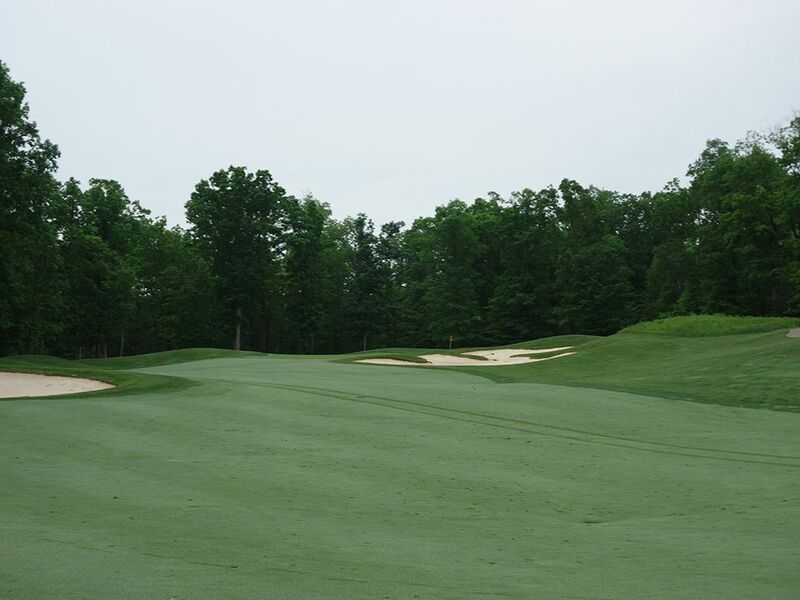 A large bunker encompasses the left side of the putting surface which begs people to miss right where a small bailout area exists. There is little room for error anytime along the way on the 3rd hole so be ready to step up to the challenge.